Have you ever had a beet smoothie? Don’t be scared! 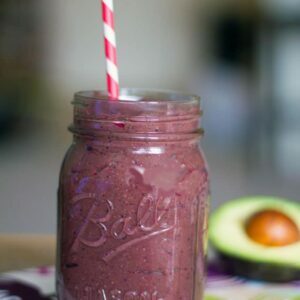 This Beet Avocado Smoothie is packed with sweet flavor from beets, avocado, berries, and spinach and is a healthy addition to your diet! Did you know you can really make a smoothie out of anything? ANYTHING. Well, that’s probably not true. Once you start adding ice cream or fro-yo, you cross over into the realm of milkshake land. Not that milkshake land isn’t an absolutely beautiful place to be. If you’ve been reading this blog for a while, you already know that I’m obsessed with milkshakes. More than obsessed, really. And now I’m working on becoming a smoothie fiend, too. I have two milkshake posts in the works for the near future and another smoothie one, too. Soooo, I hope you don’t get sick of them. Don’t, OK? Ever. This particular smoothie involves beets. Also, I’ve been wanting to test out a beet ice cream for a while now, so I mean, this beet smoothie could totally become a beet milkshake, too. Maybe it will. Maybe it will. Since I met Chris, he’s come a long way in his food likes and dislikes. Like a really long way. He is willing to try pretty much anything, even things he swore he would never eat. Like avocados. Can you believe the boy wouldn’t eat avocados for most of his life?? Now he’s obsessed. Thank goodness. Because could I live in the same house as someone who doesn’t eat avocados? I mean, I love him, so yeah, but I’m not going to say it wouldn’t be tough. There’s one exception to this openness about trying new things. And that is beets. He absolutely hates them and has no desire to change this. None at all. Ever. To be fair, I totally owe him one food that I don’t force upon him, especially considering how many I have forced upon him. I can handle that. Right? Trust me, I’ve tried. But I’m starting to give up. Which is why I made this smoothie when he was not home. Speaking of food dislikes, my sister and I have what we think is the best idea ever for a party. It will be called the “No thank you portion” party. When RSVPing, everyone will submit one food they do not like. Then each guest will select one food on the list and they will create an amazing dish that they think will change the person’s mind about not liking the food. A tasting party will commence. There will be tons of food at the party, so it’s not like you’re stuck only eating the dish with the ingredient you’re not a fan of. The funny thing? Every time we tell people our party plan, most girls think it’s a fantastic idea and most guys think it’s the worst idea ever and claim they would refuse to attend. What does this tell us? Girls are totally more open-minded than guys. These are my new obsession. Love Beets. I love everything from the name to the packaging to obviously the actual product inside. I do love beets, but I’m not overly psyched about preparing them. Now I don’t have to. Also, they are apparently sold in a million different forms, including infused with Ginger and Honey, in a snack tray with cheese and crackers, and as juice. All beets all the time. My heaven. Chris’s hell. 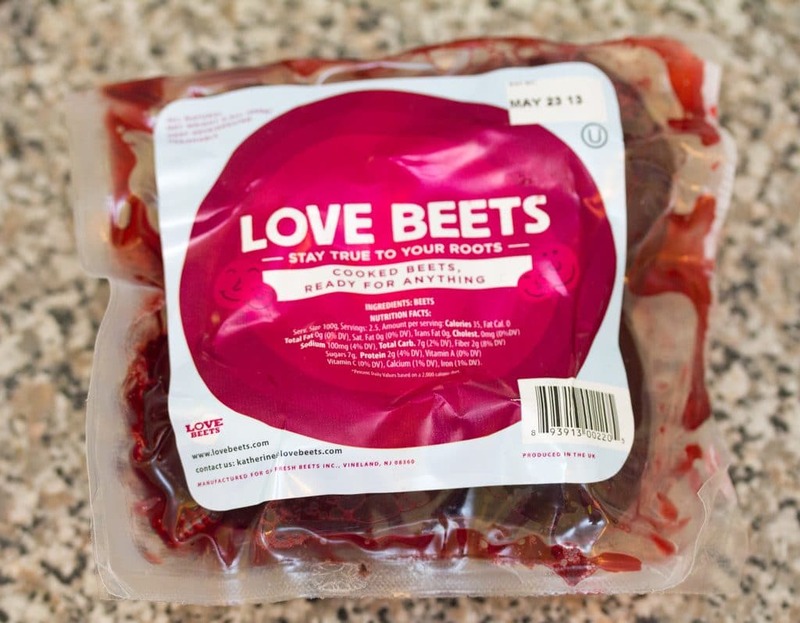 (HOWEVER, if he were actually willing to attempt to like beets, I think these would do it. Not that I’m trying…). Shhh. So, for this smoothie, I decided to use Love Beets because I wanted my beets to be cooked, but wanted an easy smoothie. 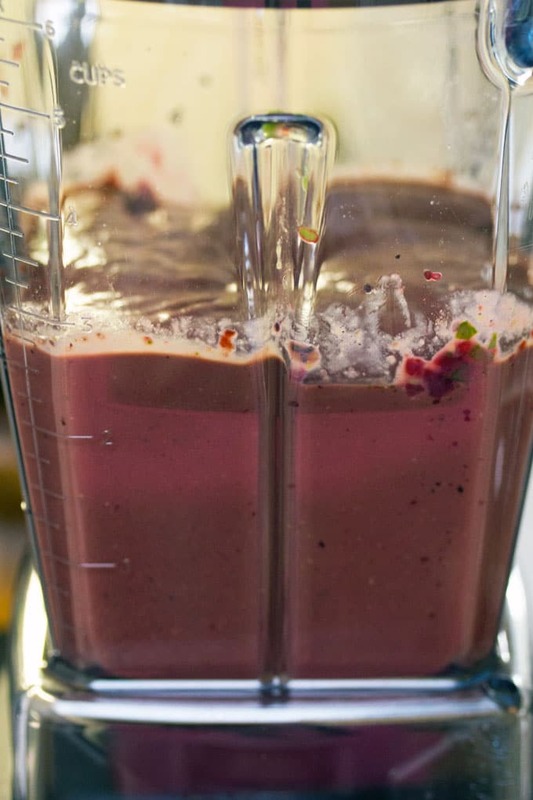 So easy that the only instructions are, put all the ingredients in your blender. Aren’t they all so pretty together? Colors=healthy. And blend everything all together. Shout-out to my Vitamix ! In case you’re in the market, this one (affiliate link) is very similar to the one I have and I can’t recommend it enough. I used to have so much blender frustration, but now I just throw everything in and it actually blends. Imagine that! 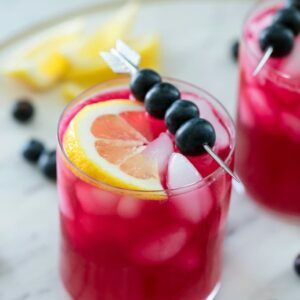 Pour that beautiful beet smoothie into a glass with a straw and sip away. This is a thick smoothie, but in all the best ways. Because it’s packed with so much amazingness. My beet smoothie wasn’t exactly the same bright vibrant color as beets, but I’m attributing that to the fact that I added a cup of spinach in. And I don’t regret it for a minute because think about all those extra vitamins packed in. Worth it. And I was still a fan of the color. There’s nothing not healthy in here. And I’m pretty sure this is your ideal breakfast. Chia seeds are packed with omega-3 fatty acids and fiber and protein. Avocados have that awesomely healthy fat. The light vanilla soy milk is protein and, of course, beets have betalains and lots of vitamins. This smoothie definitely had a strong beet flavor, which I loved. If you don’t love it, I’d add more frozen berries. and maybe a little more milk, too. It wasn’t overly sweet, so I guess you could add some honey, but I still vote on you tasting the full flavor of the beets. Because why not? I really wanted to force this upon Chris so he could taste the amazingness of a beet smoothie. But I resisted. Out of respect for the one food he does not care to enjoy. I just have to remind myself that it only means more beets for me. This is most definitely the healthiest smoothie I’ve ever made. And for all the ingredients involved, one of the lowest calorie ones, too. And because of all the protein involved, I’m calling this your ideal breakfast. Also, did you know that beets are really good for your skin? The more beet smoothies you drink, the prettier you’ll get. Well, maybe don’t totally quote me on that, but it’s worth a shot. A shot that tastes like a dream. 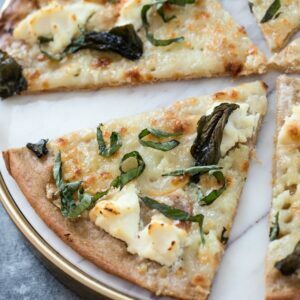 Are there any foods you absolutely won’t eat? If you love beets as much as me, check out my recipe for beet mayo, which goes perfectly on all kinds of sandwiches! Have you ever had a beet smoothie? Don't be scared! 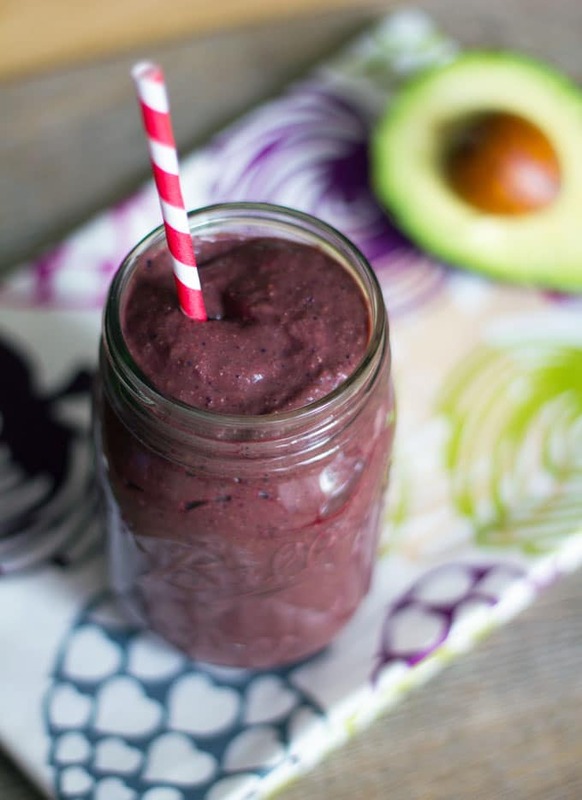 This Beet Avocado Smoothie is packed with sweet flavor from beets, avocado, berries, and spinach and is a healthy addition to your diet! 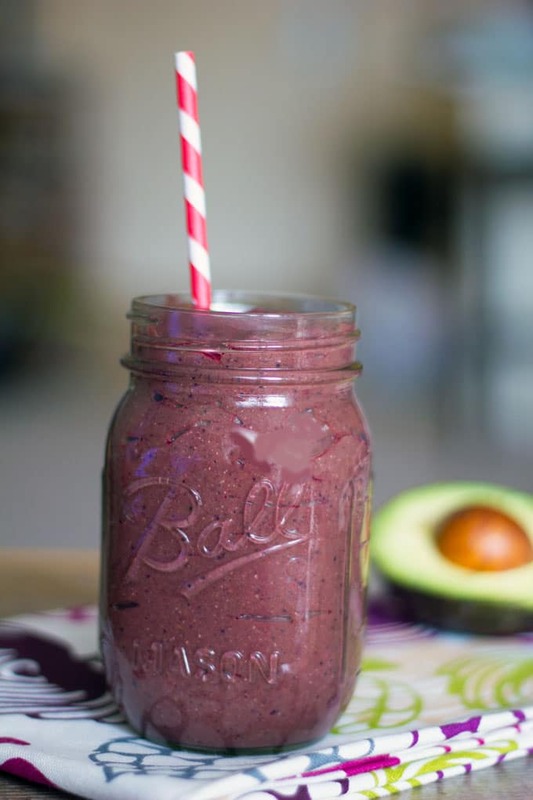 Place beets, soy milk, frozen berries, avocado, and spinach in a blender and blend until smooth. 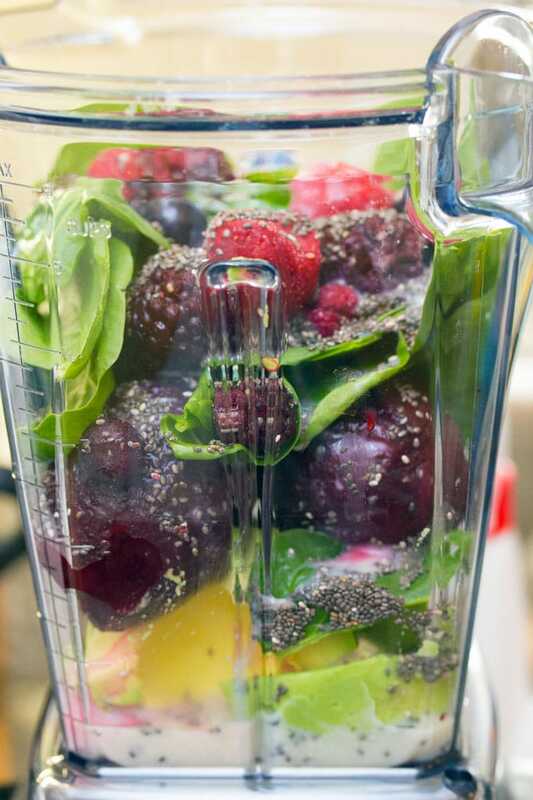 Add chia seeds to blender and pulse a couple times until combined. Beet smoothie serves 1 as a meal or 2 as a snack or side. 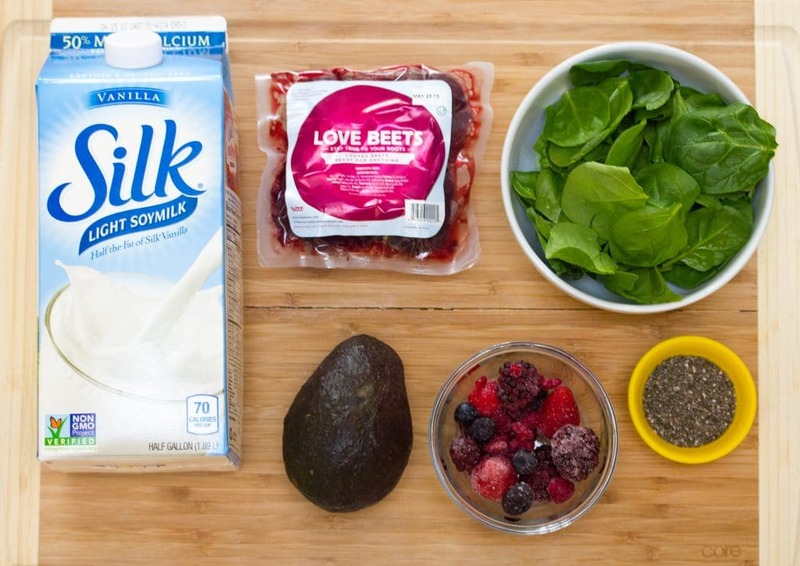 13 Responses to "Beet Avocado Smoothie"
Such a pretty (and healthy) smoothie! Those beets are such a good idea. I might eat more beets if I could get them like that all ready to go! very interesting…It makes me inspired to branch out of my smoothies. Keep ’em coming! Kudos to Chris for trying new foods and to you for being patient about it! I’m not sure what I’ll do with Eric…but it’s not going to stop me from exploring new foods (especially produce!). 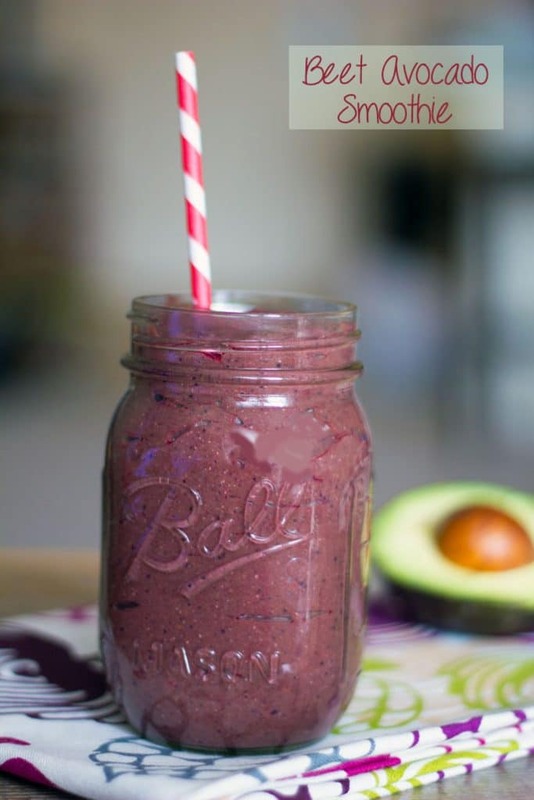 Love the healthiness and colors of your smoothie! I love the pre-cooked and packaged baby beets – TJ’s has them too and I use a few, but always forget about the rest of them. This looks like the perfect way to use them up! I also went berserk when I saw flavored Polar water in the store last weekend. I bought 3 bottles and suspect I’ll be back for more! I would never think to drink my beets, but why the heck not? 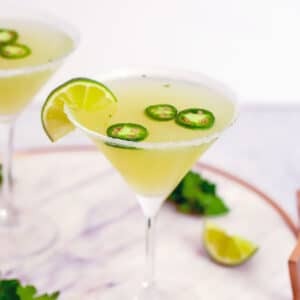 I would love to try this one! 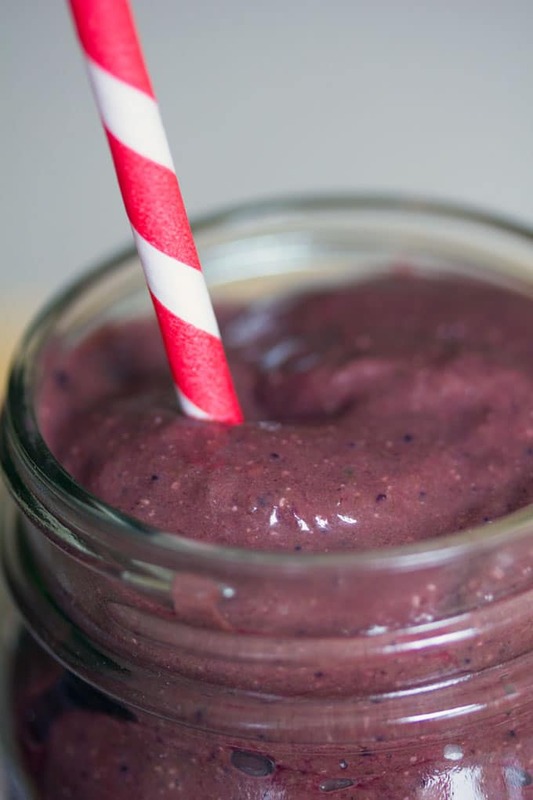 I just recently posted about smoothies – I’m really getting into them! I love the addition of avocado, too. I love the party idea!! 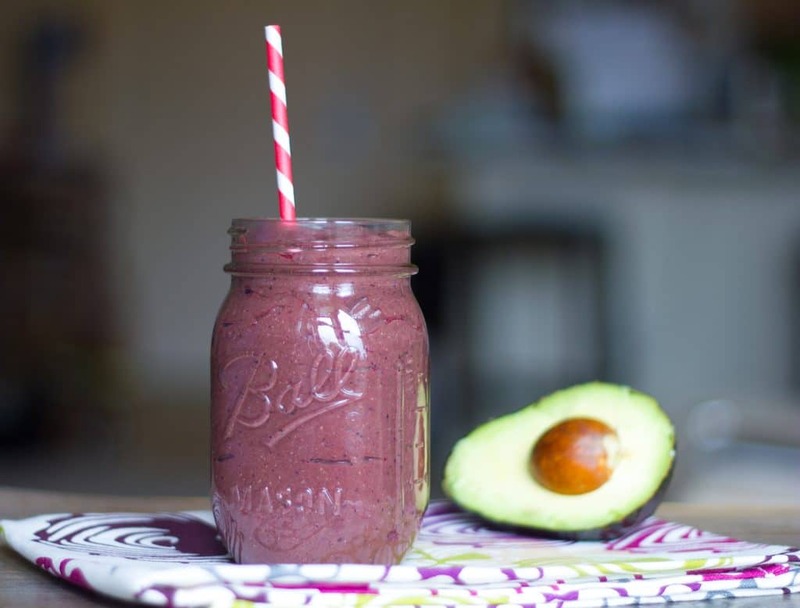 Beets are a hit or miss for me, but anything with avocado is always a hit so I think this smoothie will make it to my like list. I can’t believe you didn’t make him try the beets! What a unique idea for a shake! 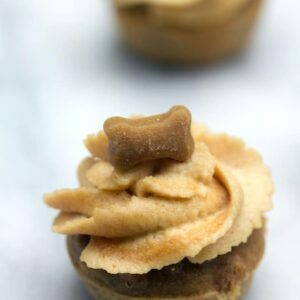 this is a great recipe and the photography is amazing, very elegant. Here’s a smoothie recipe i have for mangoes, its all natural with no sugar too. I think i’ll follow your recipe exactly, and make this for myself after my workout! Great idea! loved it. Nice breakfast vitamin boost. Ever tried kefir instead of soya milk? You can even do soya, or rice drink kefir. I made a beet smoothie popsicle!! I highly recommend turning your smoothies into popsicles over the summer! So good! I LOVE beets, I but I would love this recipe too. Giving it a try next week.